Buy 3, & Get 1 Free - All Natural Joint Formula for healthy joints and muscles. 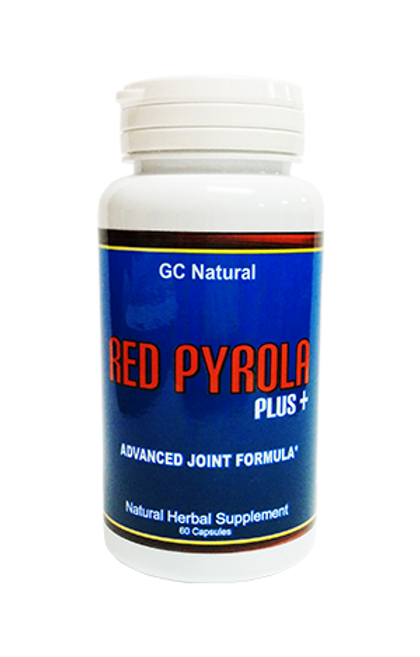 Red Pyrola is a special formula made of only all natural herbs without any chemicals, hormones, or additives. Made of only plants, this formula is safe to use and is great for healthy joints and muscles. Take 1 capsule in the morning, 1 capsule in the afternoon. You can take them before or after meals. Red Pyrola is an all natural herbal formula based on the Pyrola herb. The Pyrola herb has been known as the plant that deer have eaten when they got injured or broke their bones. We use a special manufacturing process that takes months to complete, with rigorous testing for impurities. What are the advantages of using Red Pyrola? Because Red Pyrola is an herbal formula made 100% of plants, it does not contain artificial chemicals and additives. We've prepared and formulated this product so that it is easy on the stomach, so even people with stomach problems can take this on an empty stomach. All the herbs inside Red Pyrola are safe to use and have been used on a daily basis by millions of people for thousands of years. Du Huo is an herb that has been traditionally used to help maintain healthy bones, joints, and ligaments. Mo Yao is an herb that has been traditionally used to help maintain healthy tissues. For stronger bones, muscles, and joints, take one capsule with meals everyday. Click the button below to add the GC Natural Red Pyrola Plus 레드패로라 플러스 - Buy 3, & Get 1 Free to your wish list.